Blog posts have been flying around the internet for the last few days since the release of Redsn0w 0.9.9b9 which included a footnote advising users the newest iteration of the Ultrasn0w unlock (version 1.2.5) would be released this coming Monday via the official repository in Cydia. For those that are new to the community, or who are unaware of the existence of Ultrasn0w, it is utility created by the iPhone Dev team which allows users to unlock their iPhone, enabling it for use on any carrier’s network. The process is relatively painless and requires a simple installation procedure, after which no further steps need to be taken unless an update is released via Cydia. The latest release of this utility is intended to only unlock devices on one of the above mentioned basebands, with this point release providing support for iOS 5.0.1 (old basebands only). Before you can take advantage of the Ultrasn0w unlock, you will need to jailbreak your iPhone on iOS 5.0.1 which at the time of writing can be achieved at a tethered level using the newly released Redsn0w 0.9.9b9. For the sake of clarity, a tethered jailbreak means that you will need to connect your iPhone to your PC or Mac every time it is powered down or requires a reboot in order to boot the device back into a jailbroken state. You can check your current firmware and baseband version by navigating to Settings >> General >> About and checking the required information. Step 1: Jailbreak your device using the latest release of Redsn0w or Sn0wbreeze. You can follow our complete step by step guide posted here for jailbreaking iOS 5, or here if you want to use Sn0wbreeze on Windows. Since jailbreak on iOS 5 is currently limited to tethered boot only, you can install ‘SemiTether’ patch (instructions here) from Cydia to make your jailbreak semi-tethered on iOS 5. For those of you on iOS 5.0.1 can follow our instructions posted here on how to jailbreak using Redsn0w, or here using Ac1dSn0w (instructions with Ac1dSn0w Beta 2 here), or here using Sn0wbreeze. Step 2: After the jailbreak procedure has finished, launch the newly installed ‘Cydia’ application that is present on your iPhone’s Springboard. Step 3: The required repository comes as default with Cydia, but for education purposes to add a repo you will need to tap on ‘Manage’ tab, followed by ‘Sources’ and then finally select ‘Add’. After completing those steps an alert will pop up with the title ‘Enter Cydia/APT URL’. Step 4: Add the following URL into the pop up alert – http://repo666.ultrasn0w.com – then select ‘Add Source‘. Step 5: After Cydia has finished refreshing and adding packages, tap on the above mentioned repo and install the Ultrasn0w utility. 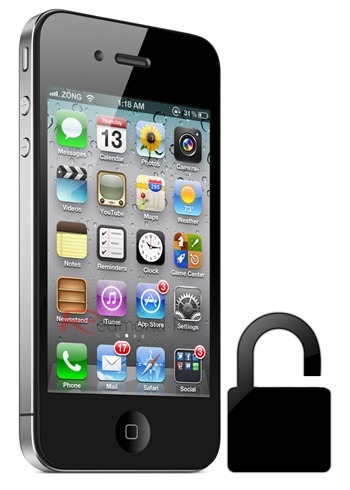 Congratulations, you are now the owner of an unlocked iPhone. just google atttiphooneuunlockingis one of many few sites that is still able to ՍΝᏞΟᏟΚing AT&T phones after AT&T denied many cheap սոⅼοсking owners’access to their database. just google atttiphooneuunlockingis one of many most reliable սոⅼοсking site for AT&T with no doubt.